See Also : Priyanka Chopra tops Sexiest Asian Women list for the third time! What's Good : Every single frame shows the hard work of entire team, Awesome screenplay. Director Sanjay Leela Bhansali took the story to another level. Entire cast of the film is excellent, the chemistry between Ranveer and Deepika is worth watching. Priyanka too looks so pretty in that assal Marathi Look. Ranveer Singh's acting and Deepika's look are really fabulous. The background music, the songs, Ranveer's jolly look in Malhari and Priyanka Deepika's dance in Pinga, Albela Sajan and the battle grounds everything just everything is impressing. See Also : Deepika Padukone wants to become film producer! What's Bad : There was a song which gave us a little bit of boredom but the whole film is really fantastic. Our Opinion : It's a mind blowing film which made us think Bollywood can still make some good films, Sanjay Leela Bhansali's efforts are worthy. He knows how to narrate a royal tale, he knows how to showcase a royal life and world. The film is a must watch and worth for your money! 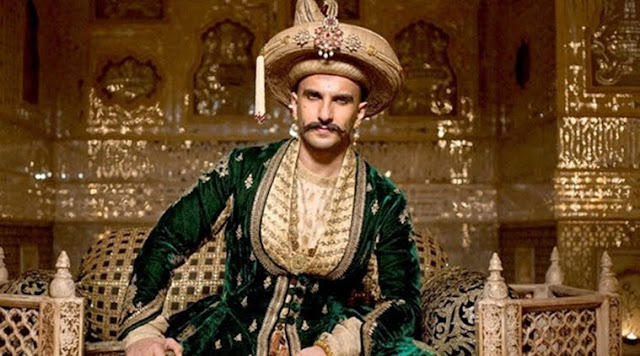 It's a perfect family entertainer with mind blowing hard work of Bajirao Mastani team.